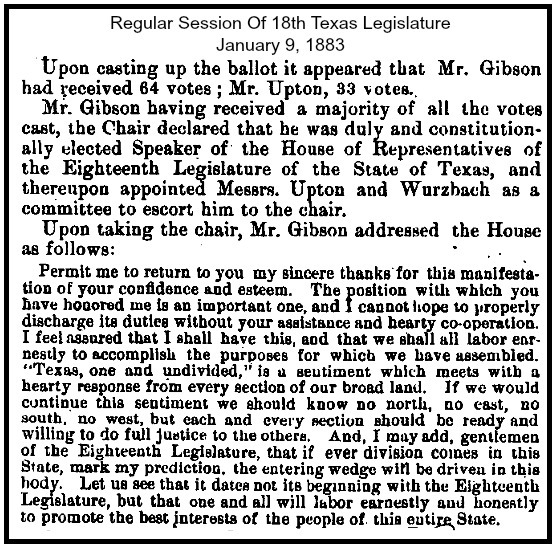 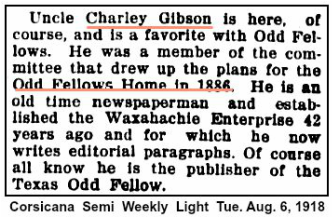 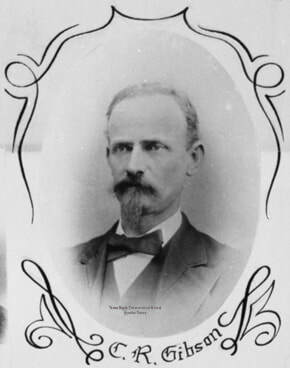 C. R. Gibson was the last surviving charter member of Waxahachie Lodge No. 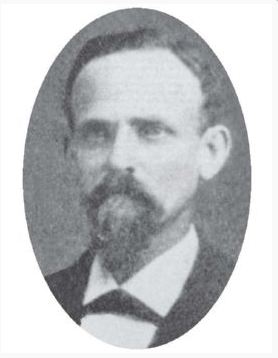 80 (death October 21, 1925). 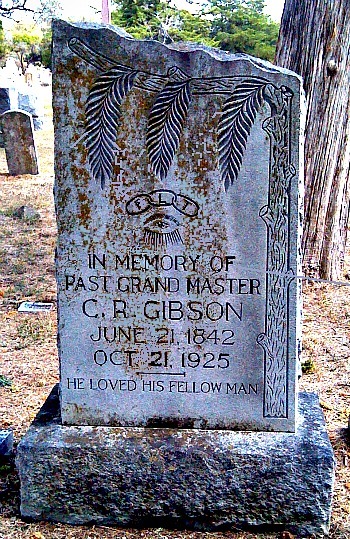 Located at Waxahachie City Cemetery in Waxahachie, Texas.